It's possible that there was some pre-existing water damage to the soffit. 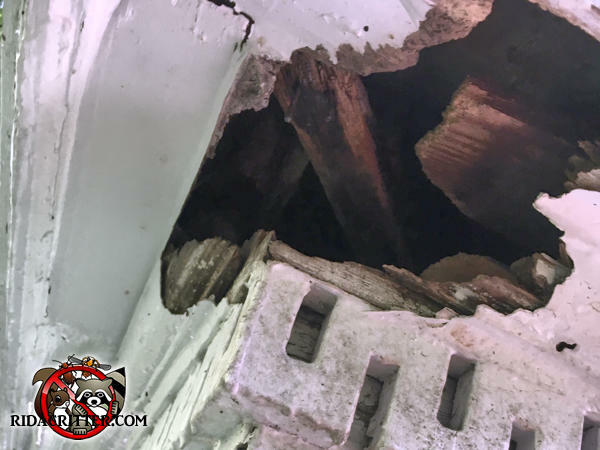 Raccoons can tear down intact wood, especially the thin plywood that soffit panels usually are made of. But wood that's already been water-damaged makes life easier for raccoons and other critters.